The genome functions like a computer hard drive. It can not only be read with sequencing technologies, but the encoded information can also be rewritten either permanently at the level of the DNA or transiently at the level of the RNA. In this talk, Dr. Tan will share some of his laboratory’s efforts in both DNA editing and RNA editing. On the DNA front, they are focused on developing and evaluating new CRISPR-Cas systems to understand and address the limitations of existing technologies. In particular, he will describe a conditional “iCas” system and a recent effort to benchmark several Cas endonucleases. On the RNA front, his group is studying the functions and regulation of editing by endogenous ADAR enzymes in normal physiology and human diseases. 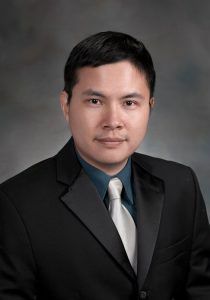 Dr. Tan will describe his lab’s discovery and characterization of two native regulators of the ADAR enzymes that help to shape the editing landscape in mammals.